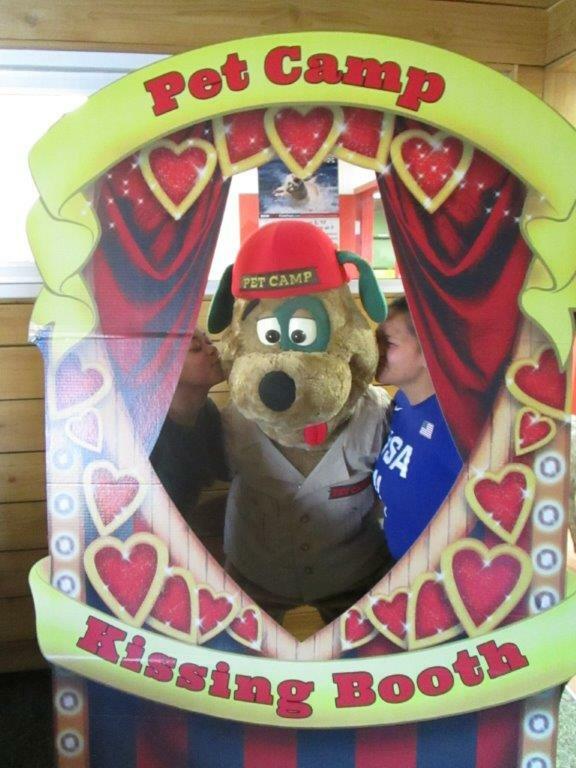 Between February 6th and 14th you get your picture taken with your camper in the Pet Camp kissing booth. You make a donation of up to $5.00 to San Francisco Aid for Animals and Pet Camp will match the donation (that’s up to $10.00 for an amazing cause)! We post your picture on Facebook, and when you share it with all your Facebook friends we’ll make an additional $1.00 donation. But wait, there’s more! For just $5.00 more you can take home a framed picture of you and your camper being, shall we say, indiscrete. Can I donate and kiss Stan, instead? My cat is too old and crotchety to schlep over there. Of course! Come on over and pucker up!